Drumming for 60 minutes a week can benefit children diagnosed with autism and supports learning at school, according to a new scientific study. The project, led by the University of Chichester and University Centre Hartpury, showed students’ ability to follow their teachers’ instructions improved significantly and enhanced their social interactions between peers and members of school staff. 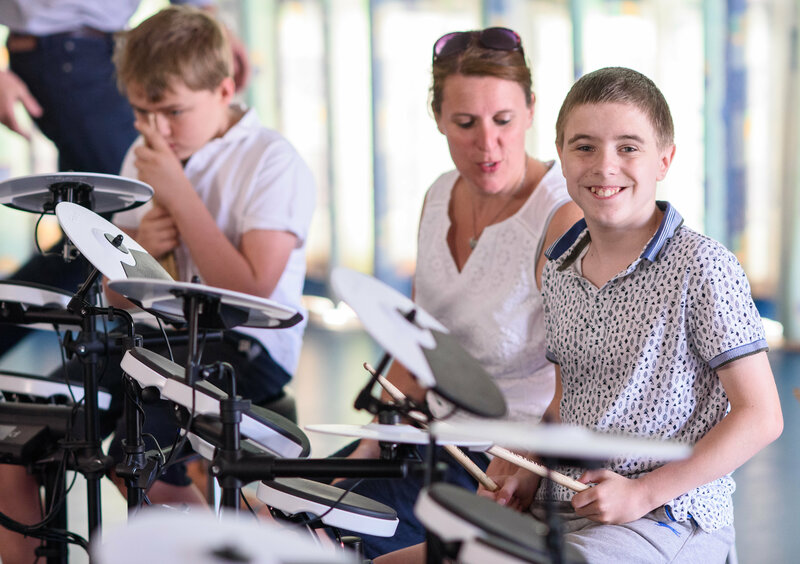 Research involved pupils from Milestone School in Gloucester who took part in a ten-week drumming programme comprising two 30-minute sessions each week. Observations of the weekly lessons also highlighted significant improvements in dexterity, rhythm and timing. The investigation is a continuation of research undertaken by the academics, known collectively as the Clem Burke Drumming Project that includes the iconic Blondie drummer, and is aimed at demonstrating the value of the musical instrument to school pupils requiring additional education support. Class teachers evaluated behavioural changes within the classroom across the ten-week drumming intervention, with preliminary evidence highlighting positive outcomes. 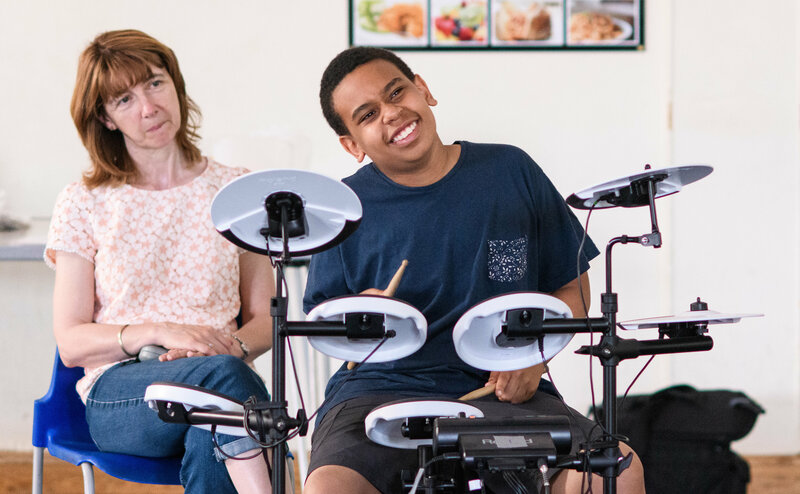 Each lesson was delivered by drumming tutors using electronic drum kits provided by charities in Gloucestershire. A range of positive changes in behaviour within school environment, which were observed and reported by teachers, such as improved concentration and enhanced communication with peers and adults. The focus of the sessions, held at an agriculture classroom at Hartpury, was on learning and having fun while playing to popular songs. An in-depth explanation of key findings related to changes in social, behavioural, and motor control will be reported following the completion of on-going data analysis. For full details about the Clem Burke Drumming Project, which includes all studies across the ten-year investigation, go to http://www.clemburkedrummingproject.org.